I’m always on the hunt for comfy, lightweight travel shoes. Here’s one for summer—The Town ($80) from ArcopedicoUSA.com. All of this company’s shoes have a non-binding design that conforms to the top of the foot and a patented metal-free twin arch-support sole made from molded polyurethane to protect your arch. They are made from a patented Lytech material that is a blend of polyurethane and Lycra so that they can be washed and weigh less than 11 ounces. 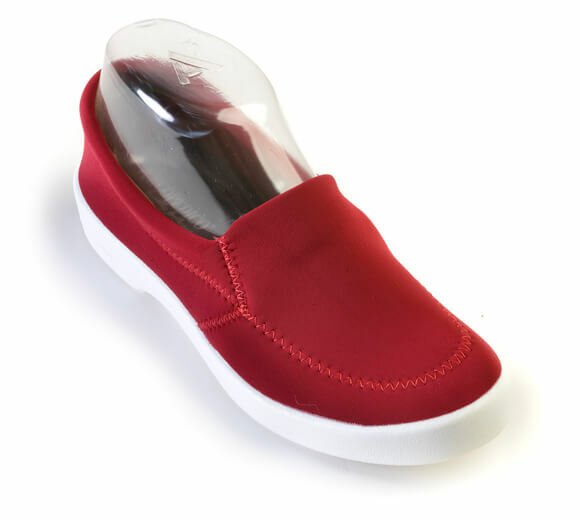 The Lytech Line of shoes are BioCalce Certified, eco-friendly, vegan, water-resistant and biodegradable. A great bet for long plane rides, cruise ships and to slip on after a long day in hiking boots.